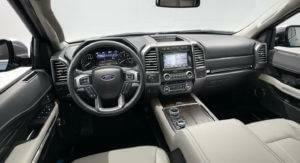 We know how fun and versatile the Ford Expedition is. Now, you can too. Pro Trailer Backup Assist has arrived! 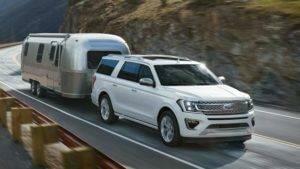 The all-new Ford Expedition features class-exclusive Pro Trailer Backup Assist. You’ve heard us talk about it before. The Pro Trailer Backup Assist on Expedition makes it so easy to maneuver whatever you are towing. Did you know that more than 50% of Expedition customers use their SUV for towing? 15% of those drivers said they tow something weekly or monthly. How cool is that? Now, everyone else can become a pro at towing too! The all-new Expedition offers Pro Trailer Backup Assist to make backing up your load as easy as turning a knob. But that’s not all. Expedition also offers the best-in0class towing capability. It can haul 9,300 pounds as noted by the Society of Automotive Engineers standard. That’s more than any other full size sport utility vehicle. 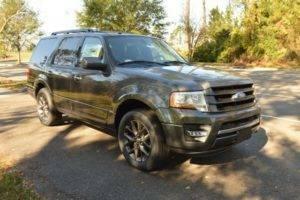 No wonder Expedition is the most adaptable and smartest SUV on the road today. Pro Trailer Backup Assist is really simple to use. The only has to turn a knob to indicate just how much the system should turn the trailer. The vehicle will be automatically steered and directed. The technology limits the vehicle’s speed thus increasing the driver’s comfort. It can be used on pretty much any type of road surface as well. Pro trailer Backup Assist also saves a lot of time because it isn’t wasted on maneuvering mistakes. Give Beach Automotive a call today. We can help find the right Expedition for your needs! Please don’t delay! We’re waiting for you!